Free Shipping Included! 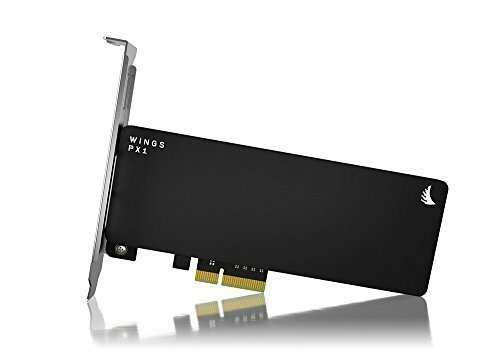 Angelbird Wings PX1 PCIe x4 M.2 Adapter by Angelbird at Learning Delphi. MPN: WIPX1-FWKF. Hurry! Limited time offer. Offer valid only while supplies last. Harness the power of your PCIe M.2 drives The Wings PX1 offers full, unrestricted performance supporting both m.2 NVME and AHCI implementations. The Wings PX1 offers full, unrestricted performance supporting both m.2 NVME and AHCI implementations. Compatible with all NGFF standards, from 2230 to 22110. The optimally cooled wings px1 was developed from scratch to deliver maximum results with no reduction or instability of throughput caused by poor or nonexistent thermal dissipation, bad data line signal integrity, or voltage fluctuations. Get it to the max.